We are a new digital media company based in America. UpgradeMedia is a white glove, high value, and high touch point service provider. Our goal is to work with amazing clients who absolutely love us! Websites, Social Media, Ecommerce, Spotify, Applications, Contests, Tour Marketing... we do that! Our process is straight forward. We help you define your goals and establish a strategy based on our experience and market metrics. Using industry reporting and feedback, we measure results and constantly adjust to give you the biggest impact for your digital investment. Our process includes creating mockups so you know what we're going to build, an approval process, and then a quality assurance period to insure your happiness. Quality user experiences are essential to online success. And, we work to plan and execute the best online user experiences. It's all about killer content, great copy, engaging imagery, and attention. We help you express your voice consistently and beautifully across all platforms for maximum attention. And, the results are improved engagement and conversions. From concept to site promotion, UpgradeMedia can pave the way. 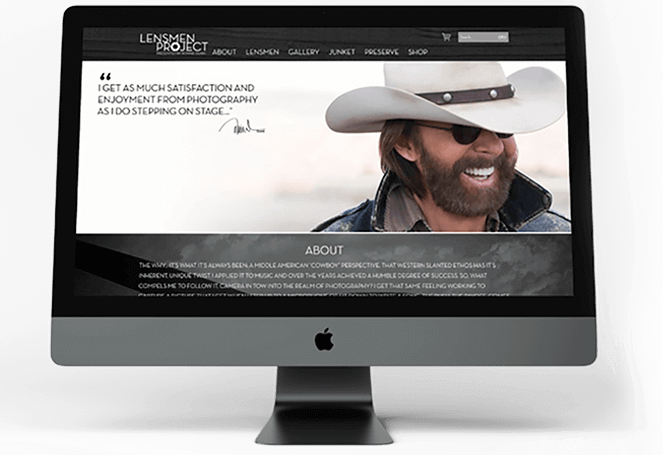 Working with Ronnie Dunn and his passion and upcoming Lensmen Project, Upgrade's team worked to create designs, customer expience flow, and helped to plan the promotion and launch of this exciting new project! 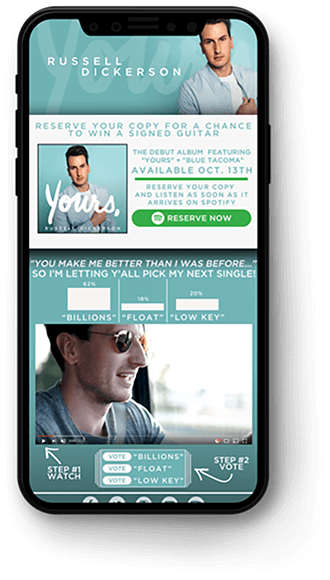 Russell Dickerson's campaign included Spotify Presave campaign entry, and a separate viral campaign which encouraged fans to share the campaign via social media links. Fans loved it! Russell Dickerson has since been chosen as one of 4 prominent RISE artists at Spotify. 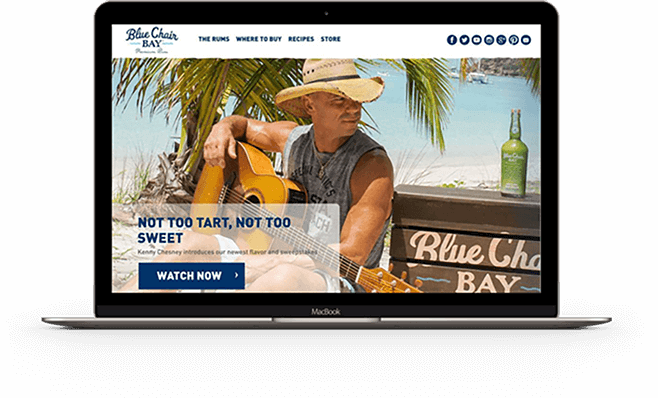 We helped Blue Chair Bay Rum create a full-service self-managed website. What if you were in Miami and wanted to find Kenny Chesney's White Rum? 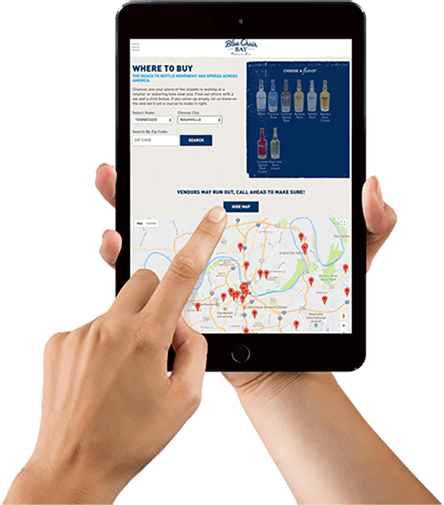 We built a customized plugin to allow fans to find their rum of choice by state, city, or zip code! 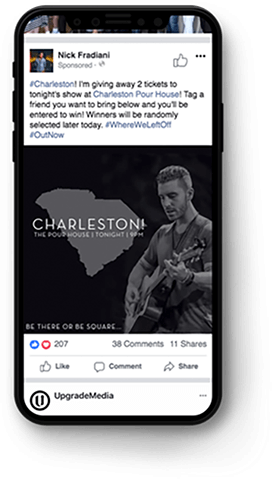 We create campaigns and contests that generate buzz and traction. 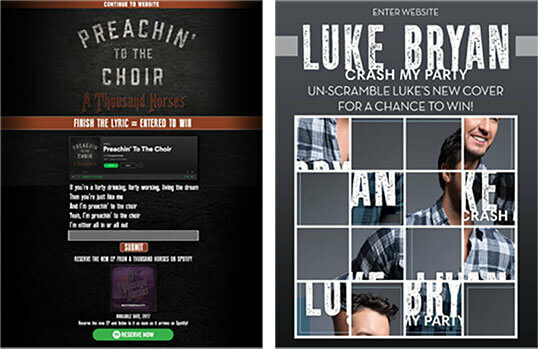 Our creative campaigns like Comlete the Lyric,Unscramble the Cover, Spotify Reserve, and Vote for the Next Single help increase fan engagement. Tour marketing is always the hardest to sell. It is the most expensive (concert tickets) and most specific (region + demographic). Luckily, we nailed Nick’s tour marketing with an average Facebook Relevance Score of 9 (on a 1/10 scale).